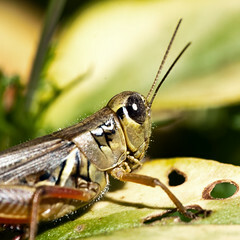 Macro shot of a grasshopper at Cantigny Park in Wheaton, IL. On a side note, I will be away from the computer the next four days and might not be able to post. Have a great weekend and I'll return to normal postings Tuesday.